I once tried a sachet of Macadamia Deep Repair Masque and loved how soft it made my hair feel but I never actually got around to buying the full sized version. I was sent this Tressed To Impress* gift set by Fragrance Direct, and couldn’t wait to get my mitts on it. I’d just made a huge order with them before they got in contact, as my friend text me saying about their discounts and I was genuinely surprised to see how affordable high end products were (my favourite ever mascara had £6 knocked off)! Now, I know that I’ve talked about going silicone free in my hair care before, and Macadamia Hair products aren’t silicone free. If this was an every day conditioner, I wouldn’t choose it but as silicones only damage your hair when they build up, I don’t mind using the odd silicone here and there. It’s also impossible to get a heat protector without silicone, so I have a dose every time I straighten my hair anyway. Thankfully, none of Macadamia Hair products have sulphates and parabens so they are still a good option if you’re trying to minimise nasty artificial ingredients. 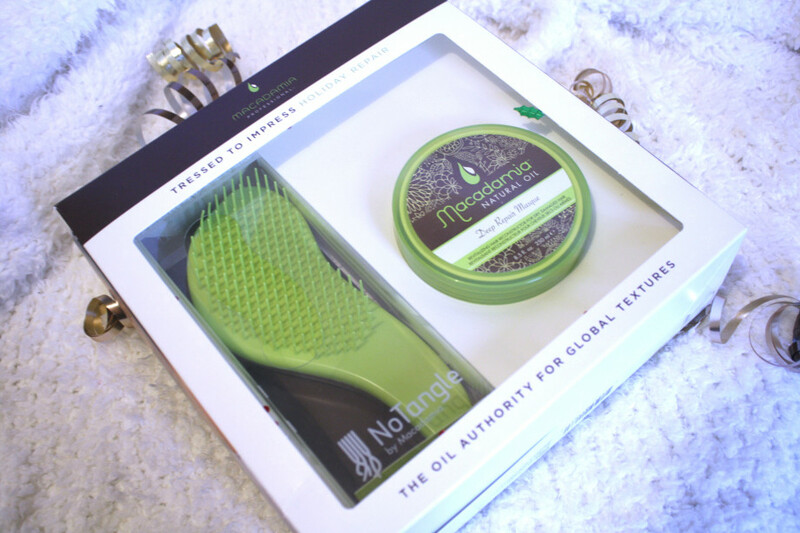 As well as the Deep Repair Masque (250ml), the Tressed To Impress set also has Macadamia’s version of a Tangle Teezer (cleverly named the No Tangle Brush). The set costs £17.99, which is good as on it’s own the Deep Repair Masque costs £16.99 on the Fragrance Direct website, although it can be as high as £23 in other places! The Deep Repair Mask claims to be a hair reconstructor that penetrates and rebuilds weak and damaged hair. 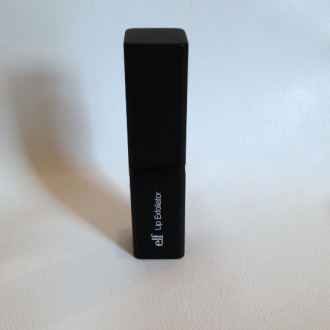 You use it after shampooing, and can leave it on for up to 7 minutes before washing out. It smells quite nice, I can’t pinpoint it exactly but it’s like a mix of conditioner, and niceness. It’s super thick and squidgy, but I like that in a hair mask as it means the formula stays on your hair rather than dripping off down the plug hole! After using, my hair does look really healthy, smooth and thick so the results definitely work! It says to use the conditioner 1 -2 times a week, but seeing as that is the actual amount I wash my hair and I don’t want to build up silicones I won’t be using it that often, I’ll probably do a treatment once a week to give my hair some love when it’s looking a bit forlorn. 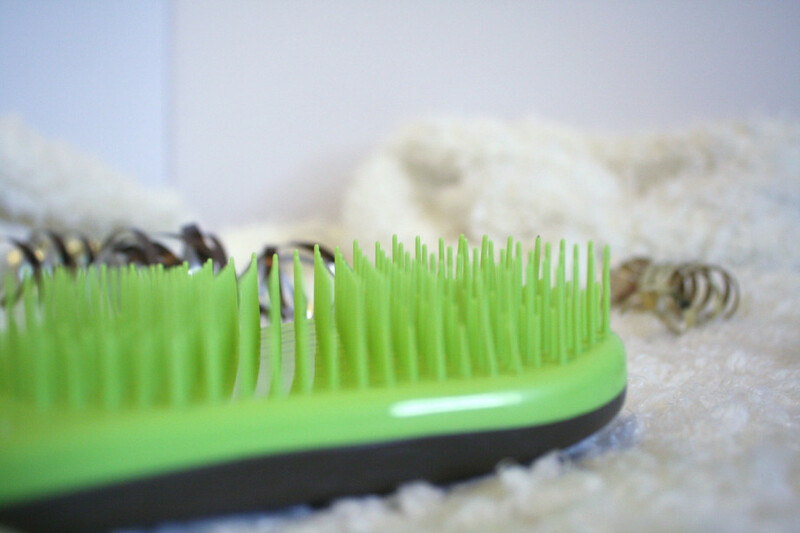 The No Tangle brush is great, I actually prefer it to my Tangle Teezer! The teeth are a bit sturdier so it combs through tangles easier, and the handle just makes it so much easier to work through tough knots. Even if you don’t fancy the set, you can get the brush for just £6.99 here which is definitely worth doing! You can get the set here, or there are other similar Macadamia sets too if you’d rather get a different combination of products. 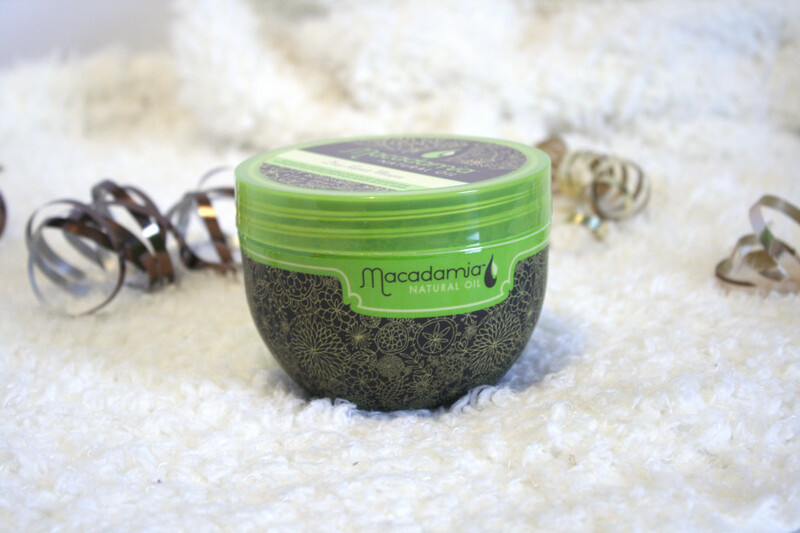 Have you tried Macadamia Hair before? What’s your favourite conditioner?